100% natural Mule Skin foot. 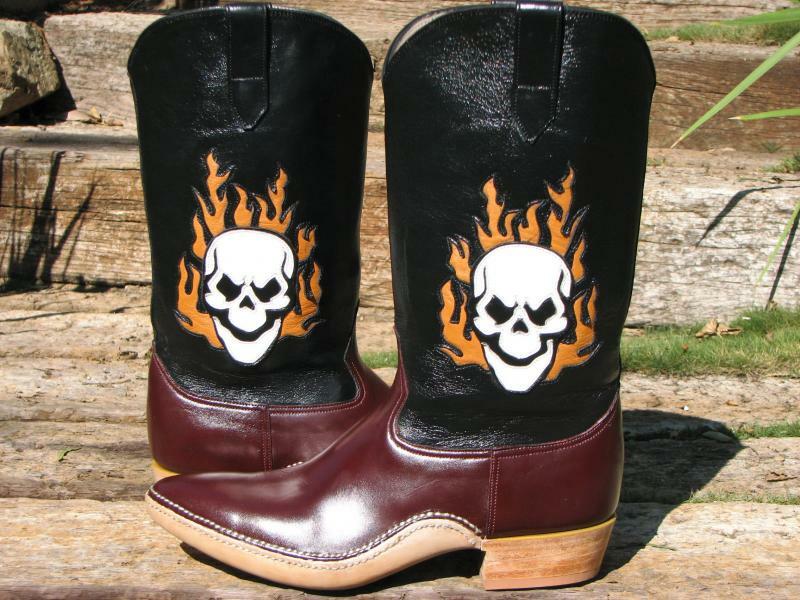 13 inch Mule shaft with leather "Skull N Flames" inlay. Shown with "N" toe style. Shown with 1-3/4" Combo (medium slant) segmented leather heels with neoprene caps.